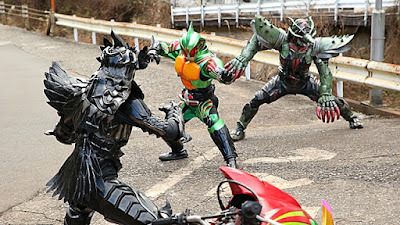 Ready for this week's episode of Kamen Rider Amazons season 2? Well, here's what you need to know regarding this week's episode title and summary. "Haruka Misuzawa, the man known as Kamen Rider Amazon Omega, who is searching for Mamoru, the Mole Amazon, encounters the extermination team and decides to fight them among with Kamen Rider Amazon Neo and the Crow Amazon. Meanwhile, something strange is happening in the hospital where Emiri was admitted while on the other hand, Chihiro is still trying his best to find out about the things that Iyu liked when she was still human." This will be the second episode that Shinji Kasahara, who is known for his role as Naoto Takizawa/Timefire of Mirai Sentai Timeranger, will guest star.